One of the newer parks close to Glacier, our spotless sites and landscaping bring guests back every year. Plus rental cabins, campground spaces, store and Meat Shop. 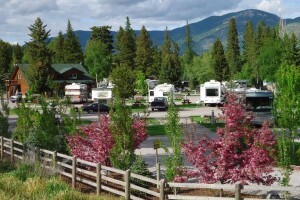 An RV resort and marina located in Rollins, MT, about 45 minutes outside of Whitefish. 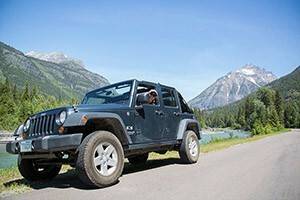 Ideally located between Columbia Falls, Whitefish & Kalispell, yet minutes from Glacier National Park. Warm cottage cabins, plus big-rig friendly. 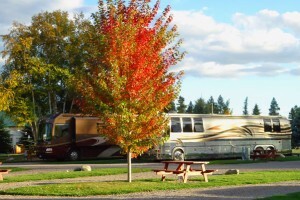 This small, family-run RV park accommodates RV's and tent campers alike. Or chose from one of the 3 cabins, if you prefer the extra amenities. 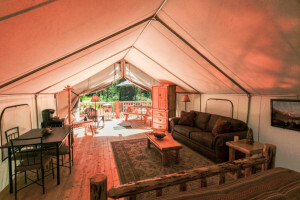 Located 25 mins from Glacier National Park, Spruce Park ON THE RIVER could be your exciting vacation choice. RV and camping slots on the Flathead River. Three Bears Rv Park, Cabins & Storage. 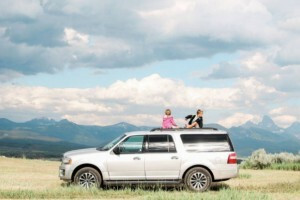 Enjoy our quiet campground and RV Park just off the Flathead River near Kalispell, on the way to Glacier National Park. Set off the highway on a quiet wooded site and consisting of 51 full hookup sites. Pets are welcome and extras include full laundry facilities and cable TV. 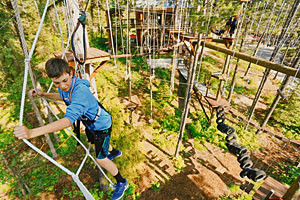 RV folks, save on fun family activities and packages for a half- or full-day of fun, including ziplines, climbing wall, Giant Swing or ropes course. Book Online or Walk-In.